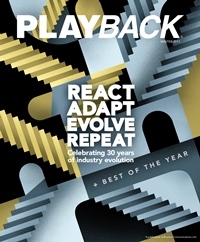 Playback interim editor Megan Haynes on why discoverability is only half the battle. I was at a party recently and the conversation turned to television. A friend of mine started raving about Kim’s Convenience – saying it was one of the funniest shows she’s seen in a long time. 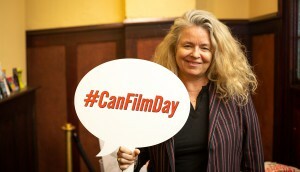 She’d seen the PR buzz around the series and tuned into CBC to see what the hype was about. She was sold. But she had a hard time convincing others at the party it was worth watching. Then she told everyone Schitt’s Creek – also CBC – was hilarious. It’s the “Canadian version of Arrested Development” she insisted. I asked why she originally tried it and she said she’d seen a bunch of quirky ads for it. 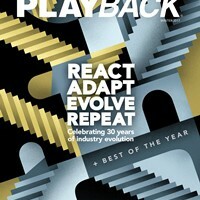 I come from a marketing background – having covered the advertising industry over at Playback‘s sister pub strategy for the past five years. (You might also remember my name for some marketing-related production stories – hi again!) I’m taking care of Playback while Katie is on mat leave – I promise, I’ll try and return it to her the way I found it. Because of my marketing background, my friend’s comments caught my attention. She’s a millennial and hasn’t had cable for years. But after seeing ads and PR coverage for each series, she sought them out online. Discoverability implies your content is discoverable – easy to find and easy to share. It seems to be built around the premise that getting a show in front of people is half the battle. But it’s not. It’s convincing people to watch that’s hard. 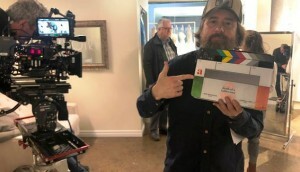 Getting content on people’s radar is obviously important: CBC’s digital strategy, whereby it seeds clips of some of its series online, is helping drive awareness and getting great online viewership. That strategy is one reason the pubcaster is our Media Company of the Year (check out all our Best of the Year winners as we role them out online this month). Like I said, discoverability is important, but it’s only part of the equation. 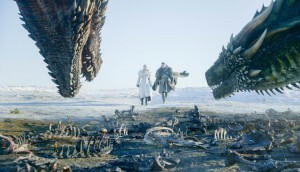 My friend did what she was supposed to do – what a lot of discoverability banks on – she shared her love of the two shows to a group of like-minded people. But they weren’t sold. Word-of-mouth only gets you so far. I’m not saying producers and distributors need to start sinking millions into marketing dollars. But as the Let’s Talk TV conversation at the CRTC continues to bubble, I wonder if it’s time that the production community start taking lessons from marketers on niche targeting not only your audience, but your marcom. Smart marketing strategies tell your brand story in a way that’s unique, targeted and gets in front of people who might not otherwise see your brand. Mass marketing is one way of getting your show out there. But being unique is another effective way of getting the word out. The PR push for Kim’s Convenience centred on the Asian Canadian-fronted cast, a unique product in the crowded TV space. That got the press talking, which got some people watching, which got fans sharing. (Next step, close that loop so the fans who share help create new fans – or better yet, find a way of reaching those non-fans in the first place). Or look at Sinking Ship’s Annedroids. Media execs said the main character had to be a boy, just like every other techy kids show on air. The guys at Sinking Ship (our Kids Prodco of the Year) pushed back and said no – she needs to be a girl. Of course she does – she’s awesome and unique! And the series has international pick up and eight Emmy nominations to prove it. That’s not to say there isn’t a place for tried-and-true tested content formats in the market. It’s still a sound business strategy, after all. But as you look ahead to your discoverability plans in 2017, it’s worth taking a few moments to figure out what it is about your content that’s unique – people have discovered you, but why should they watch you? And then sell that story. Good content will always keep people coming back, but you have to get people to watch it in the first place. Looking to 2017 and the world stage: A note from executive publisher Russell Goldstein on bringing the BANFF team under the Playback brand umbrella. Read more here. Algorithm-generated storytelling: the pros and cons of taking some of the risk out of filmmaking. Read more here. Programming profile: Gusto vs. The Cooking Channel. eOne: Studio of the Year: After refusing a takeover offer, the Toronto media company is looking to double the size of its business by 2020. Read more here. CBC: Media Co of the Year: Following budget cuts and revenue losses, the pubcaster had to refocus its efforts. Today it’s a lean, mean, fighting machine. And it’s commitment to digital and premium content is paying off. Read more here. Sinking Ship: Kids Prodco of the Year: The prodco’s bold (and necessary) diversity initiative is helping grow its huge success at home and internationally. Read more here. Secret Location: Innovator of the Year: After spending seven years as a predominantly service-based company, the digital content studio is putting its eggs in the original-IP basket. Read more here. Jason Priestley: While best known for his on-screen presence, the Private Eyes EP snags the honour for his behind-the-scenes work. Read more here. 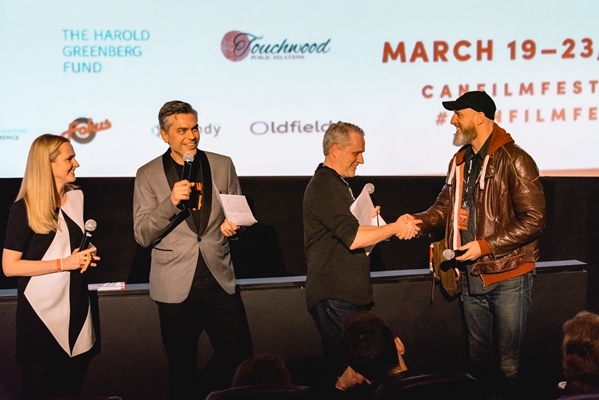 Take 5/Whizbang Films: Production partnership of the year: How the Toronto companies are bringing U.S. drama series (and dollars) north of the border. Read more here. Home to Win: Specialty Hit of the Year: Canada’s newest specialty reality series took a cue from superheroes – packing stars into one show – and watched the viewers and sponsors pour in. Read more here.